Samsung is continuing to attack the iPhone in its "Ingenious" ad campaign, introducing three more videos ridiculing Apple over the iPhone's removal of the headphone jack, not including a fast-charging adapter in the box, and its photographic abilities. Samsung's latest ad attacking the iPhone compares the download speeds of iPhone X to that of the Galaxy S9 while at the same time poking fun at Apple Store employees. After Apple released Animoji for the iPhone X, Samsung fired back with AR Emoji, an augmented reality feature that turns Samsung Galaxy S9 users into cartoon-like avatars. Apple will answer Samsung's retort with Memoji when iOS 12 launches later this year, but you can see how the two features compare right now. Continuing the comparison between Apple's iPhone X and Samsung's Galaxy S9 Plus, AppleInsider pitted the flagship smartphones against each other in a number of battery life tests, to see which can last the longest. Can the battery in Apple's premium device out-last its main rival? Video: iPhone X vs S9 Plus - Which should you buy? Last year we compared the iPhone X to Samsung's Note 8, and the iPhone was hands-down the flagship phone of choice. With the new Galaxy S9 Plus, Samsung appears to have improved on nearly every aspect of its smartphone hardware, at least on paper, but has it caught up to Apple's flagship mobile device? The latest installment in our Galaxy S9 comparison series examines the video quality of the cameras in Apple's iPhone X against Samsung's Galaxy S9+, including a close look at Samsung's new Super Slow Motion feature. Some owners of Apple's chief competition against the iPhone X -- the Samsung Galaxy S9 and S9+ -- are encountering problems with the responsiveness of touchscreens, excessive lens flare, and inaccurate data use tracking according to user complaints on assorted forums. Samsung's recently released Galaxy S9+ comes with a new Intelligent Scan biometric security feature that essentially combines Face Recognition and Iris Scanning technology seen in last year's Note 8. Find out how it compares with Apple's Face ID on iPhone X in this video. Device insurance provider SquareTrade recently ran its usual barrage of stress tests on Samsung's Galaxy S9 and S9+ handsets, saying that while the phones are more durable than Apple's iPhone X, they still crack when dropped. In the latest installment of our Galaxy S9 comparison series we pit the cameras of Apple's iPhone X against those Samsung built into its new Galaxy S9+ flagship. Find out which smartphone comes out on top in this video. Last year we compared the speakers on the newly launched iPhone X to Samsung's then-current flagship and the iPhone destroyed in loudness, bass, mids, and highs. Will it do the same against the all new Galaxy S9+? In the first of a series of comparison video, AppleInsider pits Samsung's Galaxy S9+ against Apple's iPhone X in a barrage of benchmarking tests. Read on to find out which flagship came out on top. The similarity between the Samsung Galaxy S9+ and its predecessor are not limited to just the external design, as a teardown of the firm's flagship smartphone reveals its internal construction bears more than a passing resemblance to the Galaxy S8, and is just as difficult to repair. Reviewers of the Samsung Galaxy S9 have praised the South Korean giant's flagship ahead of its release, but while it is considered to be one of the best Android devices on the market, the similarity with the Galaxy S8's design and underwhelming new features suggest it is a bit of a misstep for Apple's main rival. 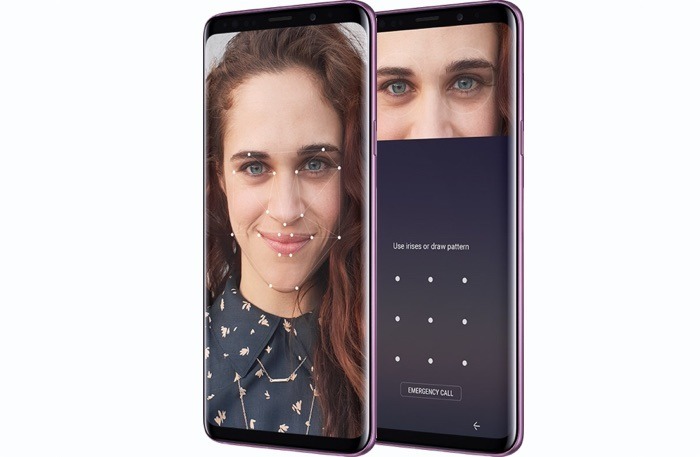 The Intelligent Scan security feature of the Samsung Galaxy S9 may not be as secure as it seems, as a report suggests the facial recognition technology it uses is a weaker component of the biometric-based system compared to Apple's Face ID used in the competing iPhone X.